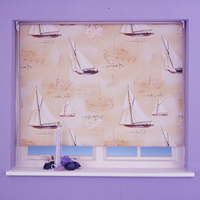 Our range of 'designer' blinds are always up to date with popular fashion. The fabric is selected from top European design houses! Blinds are simple to fit and can be trimmed for recess fitting.